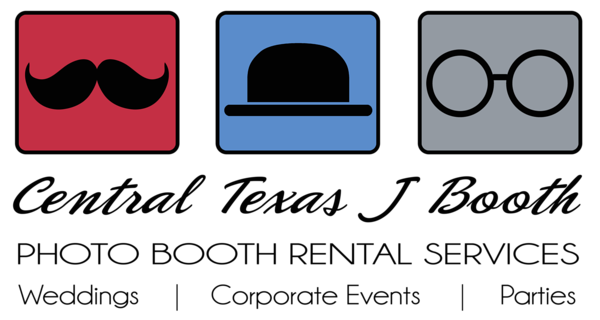 Photo Booth Rental service, for Weddings, Corporate Events, and Parties. We are Austin Local servicing as far North as Waco, as far South as New Braunsfels, and all of Central Texas. We offer three different photo booth models, each designed to create a high quality and fun photo booth rental experience. 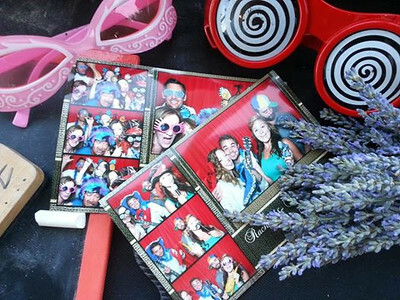 We can create Animated GIFs along with the photo booth style prints, and offer extras like, step and repeat backdrops, and a few amazing social media sharing solutions in conjunction with all of our photo booths. We are a team of full time professionals, with years of experience, and have been in business since 2010. 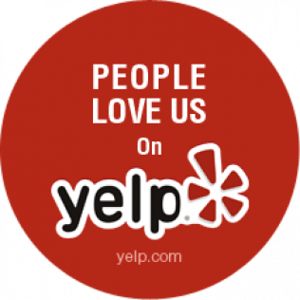 We focus on Quality, Options, Service, Professionalism, and then fun. We just offer such a higher level of service than what you may receive from competitors or with an add on service from a photography or DJ package. We primarily Cater to Weddings and Corporate Events, but service all kinds of parties and functions. We really do provide the highest quality booths and service in the Austin, Waco, and Central Texas area. With any of our photobooth options you get the newest features available. Customized Designs: We have over 100 designs for your prints and we can add a logo or customize the text and color scheme. Provide us your artwork and we can really create a custom option for you. 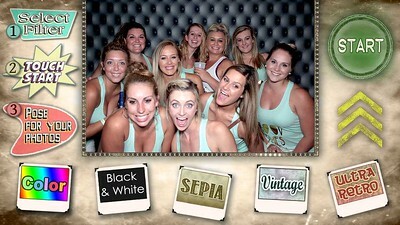 Backdrop options: We offer a wide selection of backdrops for our photo booths. Touch Screen: Touch screen instructions are all easy to read and follow. The preview on the screen allows guests to view poses during their photo session. 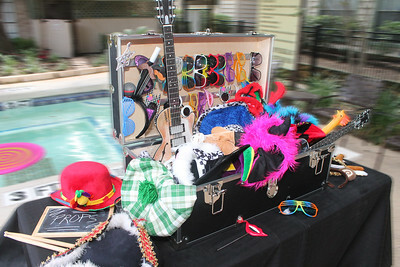 Props: These are all top quality, clean,and appropriate for any wedding, corporate event, or party. We bring about 55-65 total props for your booth, but can bring less or none if you prefer. Filter Options: 5 options for the photo session. From color to vintage styles. 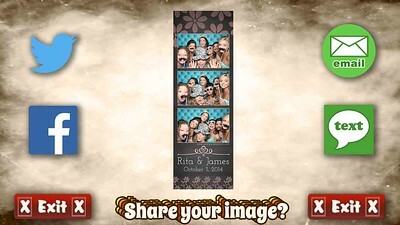 Social Sharing: can be added to any of our photo booth models to make them a social booth. Emailing of strips is included and you can add Text as well for a minimal cost. You and your guests can text or email your pics in real time in addition to the onsite prints. The option to share via Twitter is also available, though it seems most guests prefer to text or email then share from their phones. *A Few Notes on Social Networks: On 8/1/18 Facebook withdrew the permissions required to upload photos from any desktop app. This essentially means, no photo booth provider can provide uploading direct to Facebook any longer. Instagram: will not allow posting from most third party apps, so is not available to photo booths either. Snapchat like Instagram will not allow posting through any photo booth software. Though Twitter is still available from the photo booth, the best option for Social sharing is to get the digital pics to the user in real time via text or email. Guests will post almost immediately in most cases and they receive their photos via email or text in just 60 to 90 seconds. The truth is, all photo booths are going to be fun, but very few if any offer the same level of quality, options, dedication, and professionalism that we provide to the Austin, Waco, and Central Texas area. The photobooth prints, digital images, and GIF booth photos are of the highest professional quality due to pro level equipment and expertise you just cannot get from anyone. We are Austin Local, but proud to service Waco to New Braunfels, Temple to Killeen, Austin to Drippings Springs, Bastrop to Horseshoe Bay, and the Entire Central Texas Area. Please look over our site, see what we have to offer, and contact us today for info and availability and lets photo booth Austin and Waco!